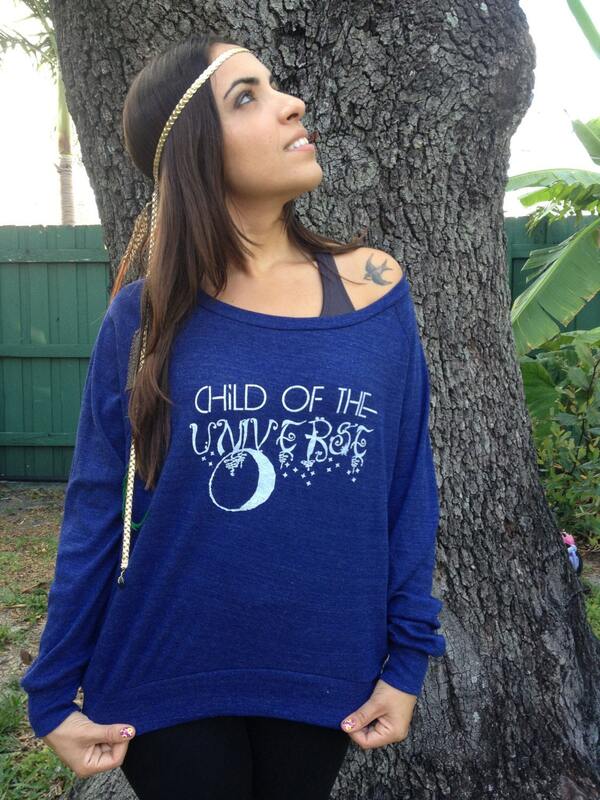 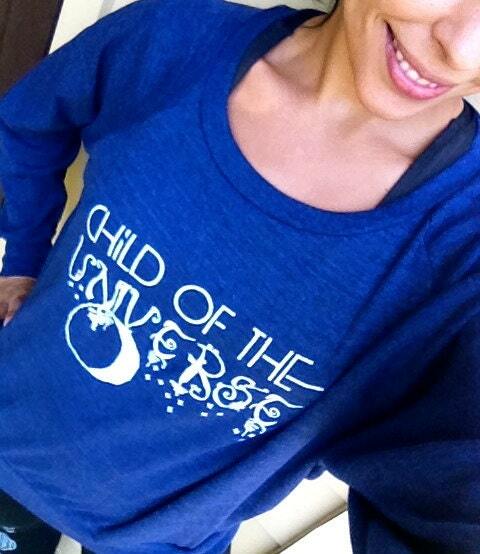 Δ CHILD of the UNIVERSE art designed & silk screened by Grizzy. 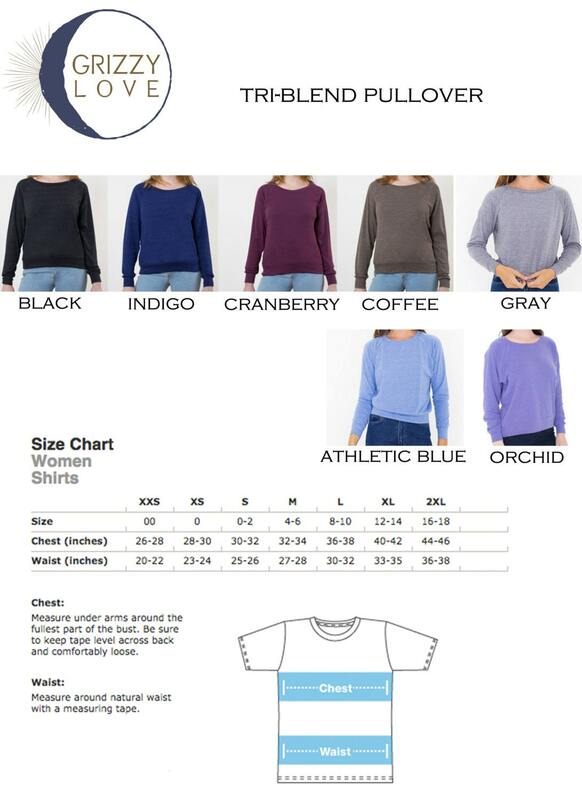 Δ Printed on a light construction Tri-Blend Light Weight Raglan Pullover (50% Polyester, 25% Cotton, 25% Rayon). 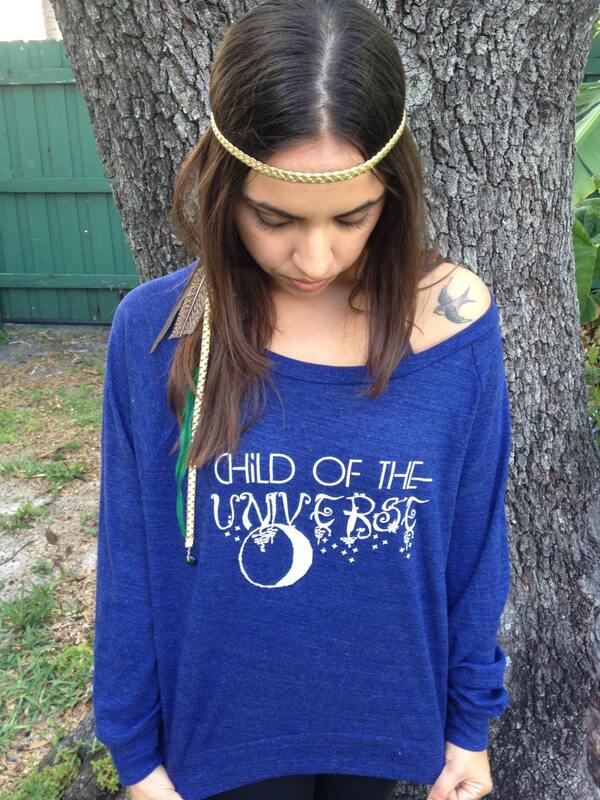 Δ The CHILD of the UNIVERSE design can also be printed on any other style apparel available on our site... just message us for a custom order.